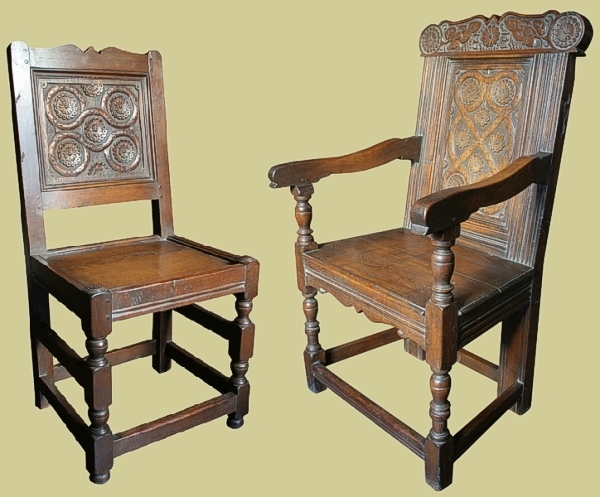 Hand carved Westmorland style oak armchair, personalised for our client, and taken in the dining room of their Tudor panelled East Sussex town house. We also supplied the refectory table and side chairs. 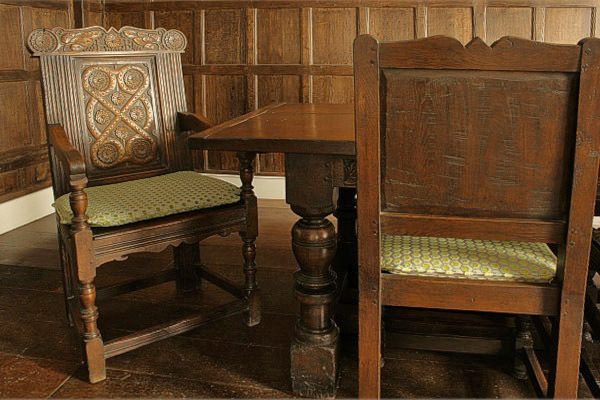 Our managing director was also involved in the restoration and conservation of the oak panelling seen in this room.